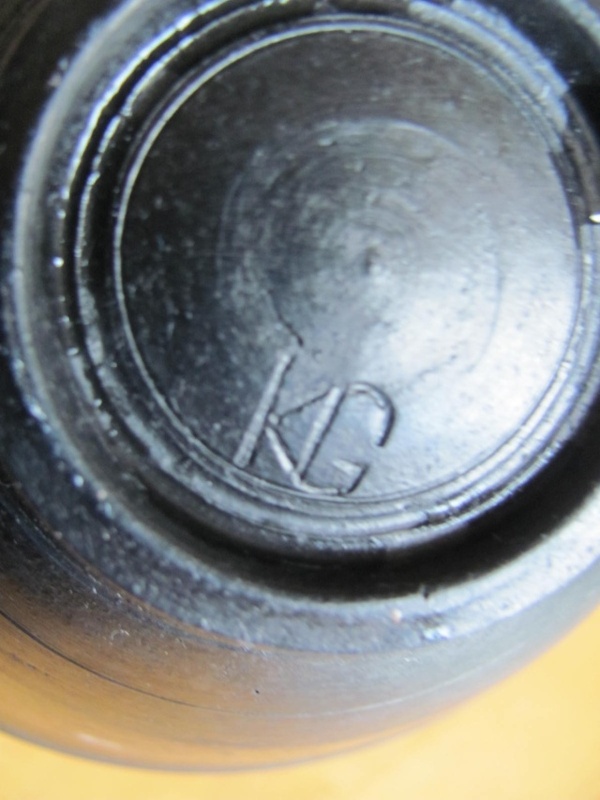 Blue Raku glaze to inside with impressed KG mark, any ideas? 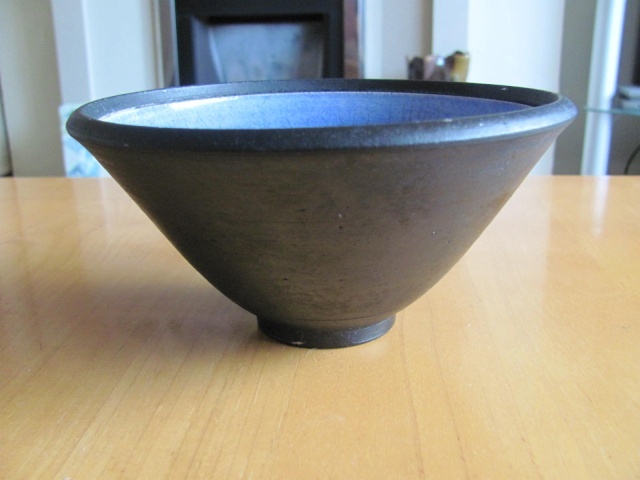 Bought an almost identical one at Newbury today (turquoise/black raku, KG mark). The seller said it came from a London gallery, so a potter from London or the SE. 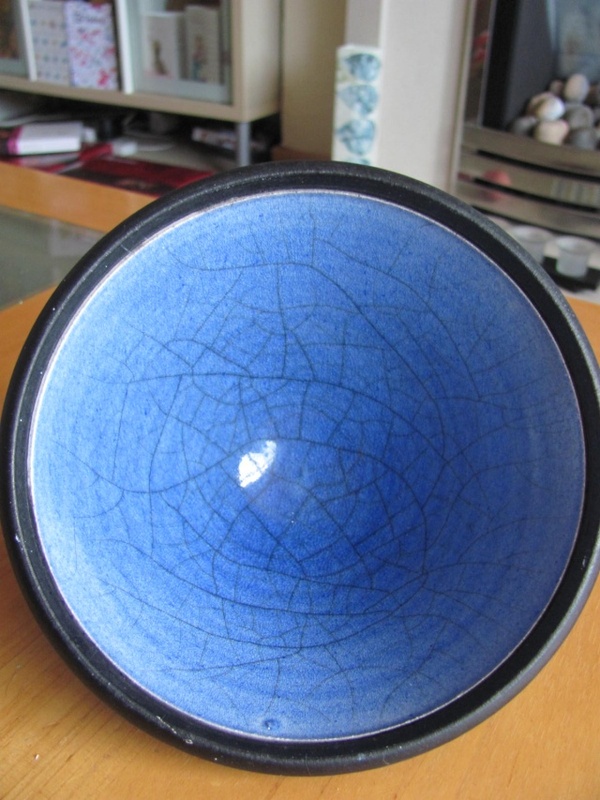 I never found out the potter Naomi, one suggestion was Kevin Green, but I can't find an example of his mark and I don't think he has worked with Raku glazes. Davee wrote: I never found out the potter Naomi, one suggestion was Kevin Green, but I can't find an example of his mark and I don't think he has worked with Raku glazes. The potter is Kevin Green, graduated from Bristol Polytechnic with a Ceramics degree in 1992 and working in Sussex thereafter. I have one of these bowls and the card which came with it.